Tsering Woeser, who has written extensively about the social conditions of Tibetans, has been placed under house arrest in what she describes as Chinese attempts to silence her voice. 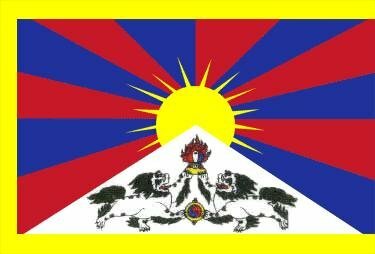 Tibetan poet and writer Tsering Woeser said on Thursday [20 June 2013] that she has been placed under house arrest by authorities who she felt want to prevent her from speaking up on conditions in Tibet ahead of a state-sponsored trip by foreign journalists to the troubled region. “We have been placed under house arrest again,” Woeser wrote on her blog on Thursday [20 June 2013], saying that she and her husband Wang Lixiong were taken into custody by police and state security agents in a suburban district of Beijing municipality on Wednesday afternoon [19 June 2013] before being taken home. Plainclothes police were placed outside her residence building and two were put on permanent watch by the elevator, Woeser wrote, adding that their confinement at home will likely last until June 25 , and possibly longer. In March , Beijing blocked Woeser from traveling to Washington to receive an award honoring her for her courage in upholding Tibetan rights. She was also put under house arrest then.